I am now a PUBLISHED photographer! An online city guide website Schmap has used one of my pictures in the 2009 edition of their Vienna, Austria city guide. 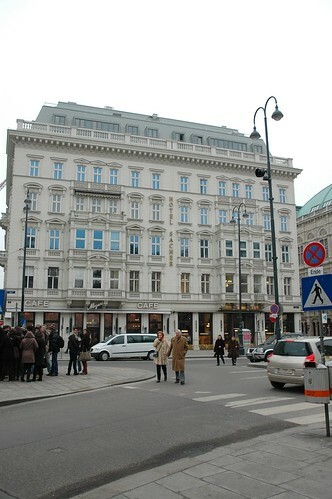 They found a picture that I took of the Hotel Sacher in my Flickr gallery. The picture was taken during my recent trip to Vienna and the Czech Republic.